Since the 1970s, Loveland, Colorado, has been a mecca for artists, and Loveland's affection for art is evident everywhere. Throughout the city you'll find sculpture, galleries, public works creatively decorated, and even large walls with beautifully painted murals. Sculpture may have put Loveland on the map, but a visit to Loveland will reward you with a variety of mediums to enjoy and appreciate. Art has certainly become a part of Loveland's heritage. In 2005, John Villani published his fourth edition of "The 100 Best Art Towns in America" and named Loveland as the number two town, only behind Santa Fe, New Mexico. With more than 200 unique sculpture pieces, three major art shows a year, two of North America's largest foundries, and two sculpture parks, it is easy to understand why Loveland has become an established arts community! Established in partnership between Centerra and the park director Roy Guthrie, Chapungu Sculpture Park at Centerra is set on 26 acres along the eastern edge of the Promenade Shops at Centerra. This park focuses on Zimbabwe Stone Sculpture (Shona Sculpture) and is home to more than 80 monumental sculptures hewn by hand from solid Zimbabwean rock. This park is presently the largest of its kind worldwide and offers a tranquil, meandering trail to visit each of its unique pieces. It is recognized and often used to host weddings, receptions, corporate gatherings, concerts, and nonprofit events. 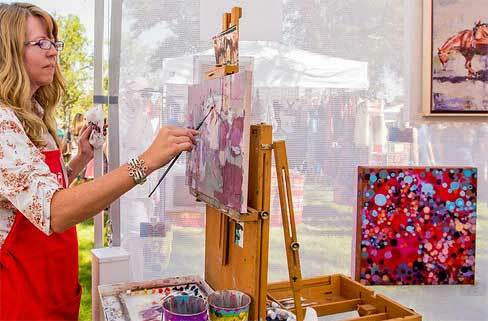 On the second weekend of August, Loveland becomes home to artists and art lovers alike from all over the world by hosting three spectacular art shows: Sculpture in the Park, Loveland Sculpture Invitational, and Art in the Park. 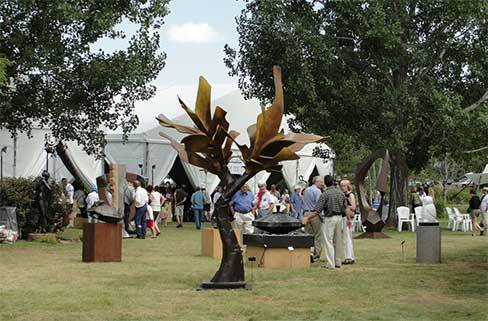 These internationally renowned art events are situated in and around Benson Sculpture Garden and Lake Loveland. Each show has a unique atmosphere, with something to please every visitor. Heralded as one of the finest outdoor juried exhibitions of three-dimensional artwork in the U.S., Sculpture in the Park features the work of more than 200 sculptors from around the world. 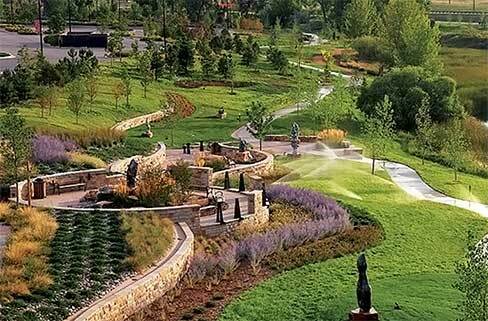 The event is majestically staged against the backdrop of the Rocky Mountains and attracts thousands of art lovers and collectors from across the country to Loveland's Benson Sculpture Garden. 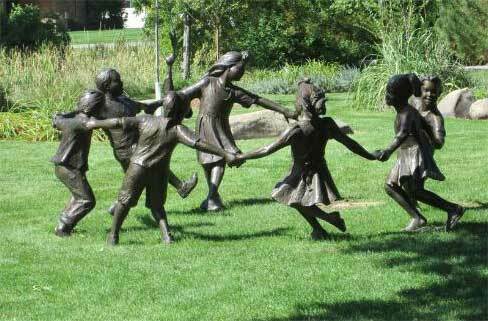 The second weekend of August every year, Benson Sculpture Garden is transformed by the Loveland High Plains Arts Council and their volunteers from a park into a beautiful setting for this outstanding exhibit. Highlights of Sculpture in the Park include Friday night's Patron Party and a two-day silent auction. The Loveland Sculpture Invitational is set at the foot of the Rocky Mountains on the grounds of Loveland High School. Art lovers and collectors from around the world come together to enjoy and purchase the work of premier artists in the largest gathering of sculptors in the country. This show attracts more than 250 foremost sculptors who display thousands of diverse works of art. From miniatures to monuments, the artists work in bronze, stone, metal, glass, and mixed mediums to create sculpture in all its forms. There is something for everyone including art, music, the emerging artist tent, auctions and a food court for your enjoyment.